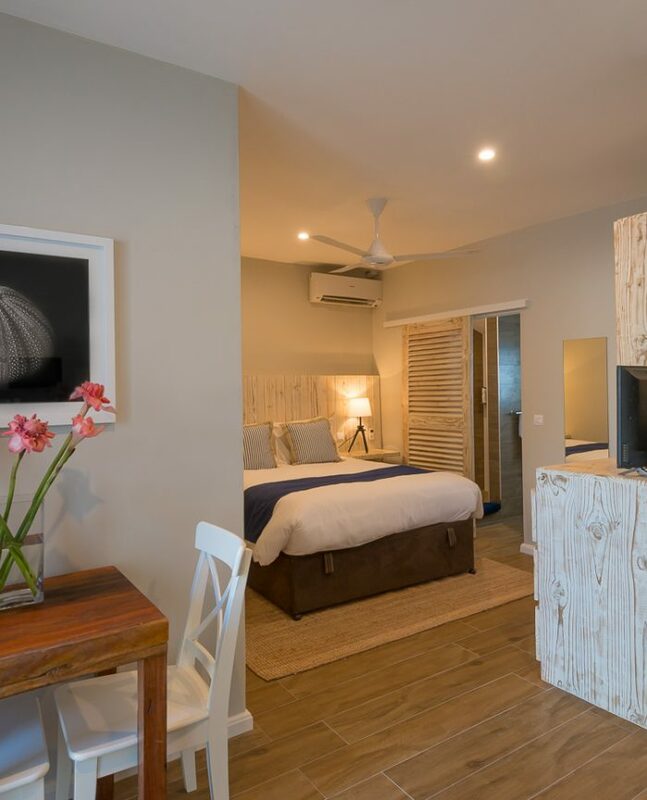 With an eye for modern coastal design yet still reflective of the past, our beachfront self-catering apartments have been carefully crafted to reflect the rich history and colourful culture of the Seychelles. 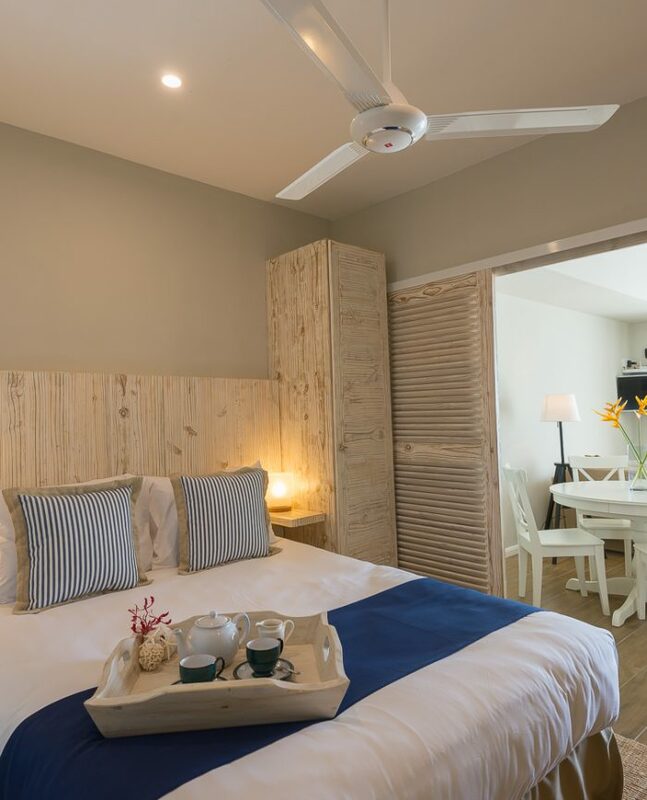 This boutique self-catering accommodation retains many of the most distinctive features of island architecture, namely high ceilings, light breezy interiors, warm timber tones, floor to ceiling doors and palm tree lined Indian Ocean views. 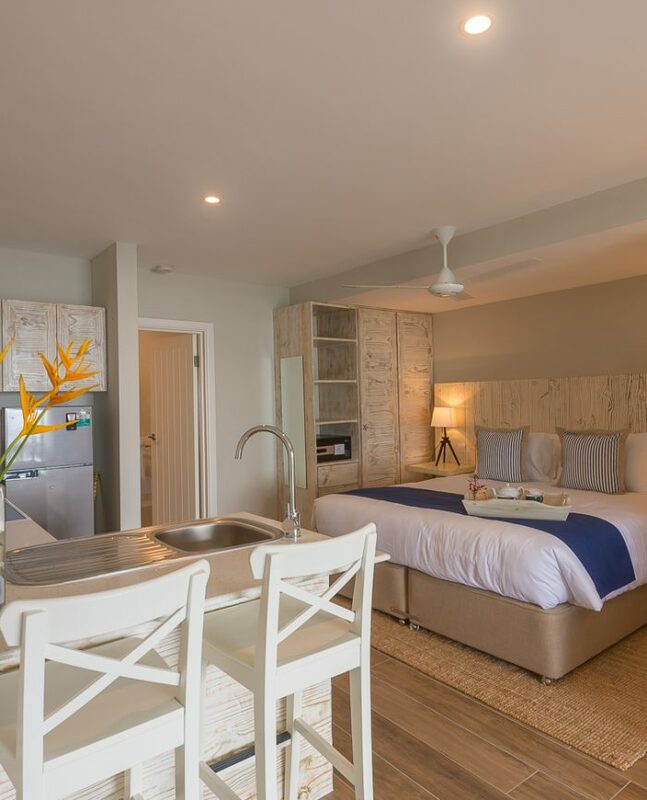 With a contemporary and, at times, quirky design, all apartments feature creature comforts such as handmade king and queen beds, luxurious bedding, free WiFi, walk-in rain showers, flat screen TVs with cable channels, air conditioning, Nespresso machines and modern fully equipped kitchens.